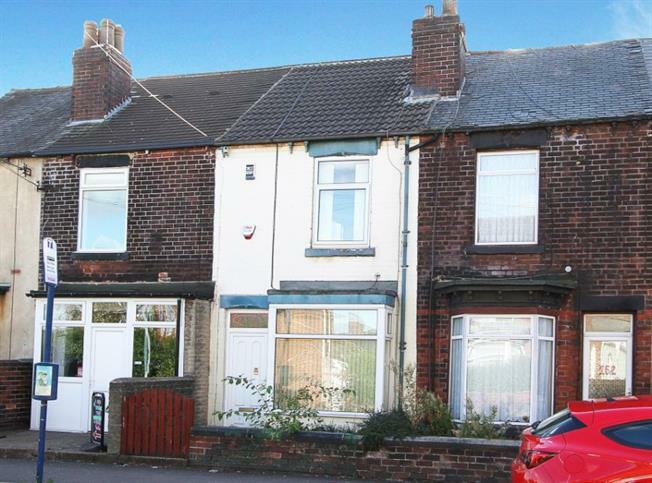 3 Bedroom Terraced House For Sale in Sheffield for £90,000. A three bedroom terraced house extended to the rear and having gas central heating and double glazing. The well appointed accommodation comprises: bay windowed Lounge with living gas fire, Dining Room with gas fire, understairs storage access and broad opening to the Fitted Kitchen having a range of modern units ,hob, extractor and oven and plumbing for washer. On the first floor are two bedrooms and a fully tiled Bathroom/W.C. with shower over the bath. On the second floor is a further good Bedroom with dormer window. Outside there is a forecourt and yard and garden to the rear. The property is conveniently located off City Road having easy access to the City Centre and good local facilities.